Microbiological Services for food ,water and sugar industry . Research : Analytical aspects of quality of sugar, molasses and alcohol. Applications of sophisticated instruments viz., UV/Vis Spectrophotometer, Automatic polarimeter, Sucromat, HPLC, GLC, Flame Photometer in sugar and by- product analysis. Education : Faculty member of Analytical and Sugar Chemistry for Sugar Tech. and Alcohol Tech. programs. Guided one student for Ph.D. degree. • Associate Referee : Colour and Turbidity, Ash, Reducing Sugar- Since 1990. • Referee : S-13 (Reducing Sugar) 1999 - 2004. First Indian to be appointed as a Referee by ICUMSA. • Method Development : Organized international collaborative study for the first time in India, major role in method validation of Colour by 8 method and Dextran method for White Sugar. • Recognition to Indian Sugar : Sugar produced in India (Plantation White Sugar) was not having any recognition in ICUMSA. Effective presentation of the case at Atlanta meeting in 2004 resulted in creation of a new General Subject GS-9. • Panel member of Co- product Commission : 1995 – 1999 - First Indian to be appointed on this post. • Member of Organizing Committee of 23rd Congress (New Delhi). • Processing Workshop at Goa : 2003 – Presented two papers. Short term training programs organized for technologists from Fincha Sugar (Ethiopia),Sudanese Sugar Corporation Sudan) and Shakarganj Mills (Pakistan). • International Sugar Journal (3), STAI Convention (4 including one in Plenary session), DSTA Convention (4), SISSTA Convention (2), Joint Convention (2), Bharatiya Sugar (4), Indian Sugar (1). • Contributed Chapter on ‘Colour based technical control in sugar processing’ in the book ‘ System of technical control for cane sugar factories’ published by STAI. • Presentations in seminars organized by National Federation, Exim Corporation, State Federations of Haryana, Gujrat, TN & Maharashtra, UP Ganna Sansthan and NSI. • Woman Entrepreneur of the year 2001 award from Rotary Club of Poona-North. • Woman Entrepreneur award from Jagatik Marathi Chamber of Commerce and Industries 2002. • Udyogajanani Kamal Award from Pravin Masalewale Trust – 2004. • Woman Entrepreneur award from Jana Prabodhini and Supnekar Trust - 2005. • Member, Sugar Industry Sectional committee, BIS, New Delhi. 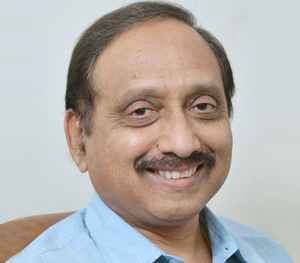 Dr. S. S. Nimbalkar, Director and Quality Manager, is a Ph.D in Microbiology. 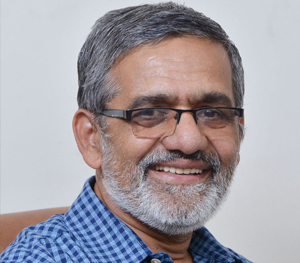 An alumnus of Agharkar Research Institute (ARI) Pune, he has been the recipient of the S.P. Agharkar Gold Medal conferred upon him for his Ph.D. dissertation. He is working as a associate referee of ICUMSA (Subjects – Plantation White Sugar & Microbiology) & Member of Food & Agri. Committee of Bureau of Indian Standards. As a Quality Manager he has been responsible for implementing the stringent ISO/ IEC 17025 Quality system to the functioning of Maarc Labs and to keep the laboratory upgraded and updated with the global trends. Dr. Nimbalkar is having rich experience in the field of microbial sugar losses and Dextran problem in sugar processing. He introduced a novel concept of setting microbiological laboratories at sugar factories site and training the staff for microbiological analysis. He has visited to sugar industries in Pakistan, Sudan, Bangladesh especially for training the personnel for sugar analysis and quality system. • Assessment of sugar factories to make them competent for supplying their sugar to institutional buyers . • To train the personnel on sugar quality ,water quality ,boiler water problems and quality of cane with respect to dextran formation . • He has visited more than 300 sugar factories in India for training and consultancy purpose . is the next generation technical support of Maarc Labs. 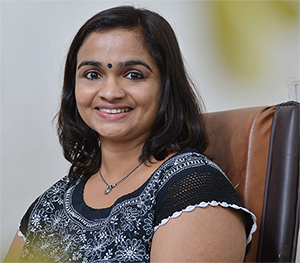 A chemical engineer from the University of Pune, she completed her Ph.D in Analytical Chemistry from Queensland University of Technology ( QUT ), Australia in 2011. She did her post-doctoral research in the area of animal feed and biofuels at Michigan State University (USA). Presently Dr. Saee looking after the chromatography/ mass spectrometry section, specifically, pesticide residue analysis. 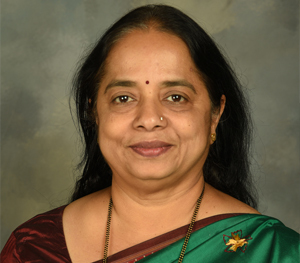 Under her tenure, Maarc Labs acquired a series of accreditations such as APEDA and Agmark in a very short period of time. Method development & validation is her area of expertise. She has built a team which is constantly working towards developing new methods and upgrading our technical capacities. She also supervises the QC and QA execution. She has completed the ISO17025 management system and internal auditor training at BIS. Mr. S. P. Keskar Director Commercial & Admin holds a basic degree in Chemistry and is MBA in Marketing & Finance from IMDR Pune. He has also done LLB from Pune University. He was working in Dr.Beck & Co Ltd for twelve years and has a rich experience in the field of Marketing. He was actively involved in formation of this organisation and is responsible for all the commercial activities including Accounts & Finance.